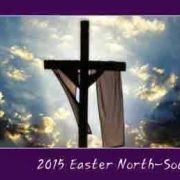 NCCI | NCCI Communications Pre-assembly (April 8 – 10, 2016 | CSI Synod, Chennai) – Program Report. NCCI Communications Pre-assembly (April 8 – 10, 2016 | CSI Synod, Chennai) – Program Report. The National Council of Churches in India (NCCI) Communications pre-assembly entitled “Towards Just and Inclusive Communities: Communication for Life, Enablement and Growth”, organized by NCCI’s Commission on Communications and Relations, in partnership with Church of South India(CSI) Synod and Board of Theological Education of Senate of Serampore College(BTESSC), was held in CSI Synod, Chennai from April 8 to April 10, 2016. There were 46 registered participants at this program representing many of NCCI member Churches and Organizations: Church of South India (CSI), Church of North India (CNI), Board of Theological Education of Senate of Serampore College (BTESSC), Marthoma Church, The Bible Society of India (BSI), The Salvation Army, Lott Carey Baptist Mission, India Peace Centre (IPC), India Evangelical Lutheran Church (IELC), Samavesam of Telugu Baptist Churches (STBC), Tamil Nadu Christian Council (TNCC), Hindustani Covenant Church (HCC), Christian Literature Society (CLS), Inter-Church Service Association (ICSA), Student Christian Movement of India (SCMI), Gossner Evangelical Lutheran Church (GELC), Andhra Pradesh Council of Churches (APCC), Chattisgarh Council of Churches (CCC), Arcot Lutheran Church (ALC), National Missionary Society of India (NMSI), Kerala Council of Churches (KCC), NCCI – Urban Rural Mission (NCCI – URM). There were also members from other institutions: Gurukul Lutheran Theological College, Leonard Theological College, Anna University, Karnataka Christian Educational Society (KACES) and Madras Christian College. Devotions on April 8th and 9th were prepared by Rev. Dr. Bavani Rajan (Pastor, Arcot Lutheran Church, Tambaram). His messages were inspiring Biblical reflections on various aspects of communications. His Praise & Worship team led the singing during the devotions. At the inaugural session on April 8, 2016, on the dais were Adv. C. Robert Bruce(Hon. Treasurer, CSI), Rev. A. Suresh Kumar (Secretary, Trichy – Tanjore Diocese, CSI), Rev. Dr. Mohan Larbeer (Secretary, BTESSC), Rev. Dr. Roger Gaikwad (General Secretary, NCCI), Rev. Sunil Raj Philip (Director, Departments of Communication and Dalit & Adivasi concern, CSI Synod) andRev. Solomon (Director, Youth Department, CSI Synod). Adv. C. Robert Bruce inaugurated the program by lighting the lamp and gave the inaugural address. Each of the other dignitaries also added a flame to the lamp and spoke briefly to bring greetings and to wish the program and participants well. The keynote address was delivered by Rev. A. Suresh Kumar. Tracing the development of communications to illustrate the context we are in and to which we need to be relevant to, he spoke emphatically and comprehensively about the range of communication issues that the Churches must address. He challenged Christian Communicators to strive to harness the vast potential in emerging technology while also avoiding the pitfalls and inherent dangers of such a rapidly changing context. A Statement Committee was formed. Ms. Sushma Ramswami (Communication Secretary, Church of North India) and Rev. Abraham Varghese (Director of Animation Centre, Marthoma Church) headed the Statement Committee. Ms. Eva David (Executive Secretary, Inter-Church Service Association) and Mr. Joshua Marvin (Karnataka Central Diocese, CSI) volunteered to be the listeners. The next two sessions “Prophetic role of the Communicator” and “Affirmative action” were taken by Rev. Dr. Roger Gaikwad. Among other challenges, he emphasized on social analysis, solidarity, advocacy and networking responsibilities of the communicator. He spoke also on affirmative action as non-compromising and definitive action on the side of justice for wholesome growth and development. The session on “Networking: Church with People of other faiths” was taken by Mr. Kasta Dip (Director, India Peace Centre). He spoke about the conceptual and practical dimensions of the Church’s networking with people of other faiths. While emphasizing the need for working together and clarifying objectives of harmony, he gave practical hints for better networking and relations. The session on “Pathways to Digital Frontiers for Just and Inclusive Communities” was taken by Rev. Sandeep Theophil (Director, Balmatta Institute of Language and Vocational studies; Principal, Karnataka Institute of Commerce; PRO, Karnataka Christian Educational Society). He spoke about using digital technology to counter the growing sense of discrimination and dissent by developing solutions that are ingrained with the culture of inclusion, peace and justice. This section of presentations was moderated by Rev. Dr. Mohan Larbeer who, in his comments, underlined the emphasis on ‘Justice to the people using communication tools’ and also stressed on the need to develop counter-culture and counter-narratives to combat some of the issues found detrimental to justice objectives. Most of the post-lunch sessions were on networking. The session on“Networking: Between Churches / denominations” was taken by Rev. Juliet Prince (Presbyter, CSI Madras Diocese). She spoke on the theological understanding of Church networking by presenting several models, and then emphasized the need for networking between Churches and denominations drawing out the possibilities as well as areas of challenges that need to be dealt with, finally concluding with the importance of oneness in common witness to be strong enough to challenge structures of violence and injustice. The next session, “Networking: Church and Secular Media”, was taken byProf. Dr. I. Arul Aram (Associate Professor, Department of Chemistry, Anna University; Former HOD of Media and Communications; Research Scholar and Guide). He spoke about networking between Church and media with reference to its need and challenges. He spoke with concern for strengthening the ministries of the Church and with a focus on positive engagement to ensure growth and impact. The session on “Networking: Church with FBOs and NGOs” was conducted byMr. Kasta Dip; he spoke about the need for building wider networks for greater impact in Church and Society as well as the obstacles that sometimes hamper this process of building wider networks. The session also brought out the need for capacity enhancement for Churches to be able to effectively network on a broader level. The last session in this section, “Communication for Development” was taken by Prof. Dr. P. V. Sangeetha (HOD, PG Department of Communication, Madras Christian College, Chennai). She brought out the significant role and relationship between communication and development, and emphasized the need for alternative, participatory and people-centered paradigms. The moderator for this section, Major Babu Samraj (Communication Secretary and Editor, The Salvation Army India National Secretariat, Kolkata), commented in acknowledgement of the need for wider networking of Churches and urged the exploration of working together at various levels towards adding strength to efforts for Just and Inclusive communities. On April 9, 2016, the first session of the day “ICT Perspectives – Available tools and changing paradigms of efficiency” was taken by Prof. Thomas Manoj Samuel (Professor of Communications, Gurukul Lutheran Theological College, Chennai) who presented the vast array of technology that is available today and ways in which the Church can benefit from these in its struggle for justice and peace in the society. He challenged the Churches to explore the possibilities in this direction with greater enthusiasm, expectation and openness. The sessions on “Communication towards Life, Enablement and Growth” and “Communication for Peace” were taken by Rev. Dr. Samuel W. Meshack(President, World Association for Christian Communication – WACC; Chairperson, NCCI Program Commission on Communications and Relations). Among other things, he explained how Communication affirms life by promoting truth-telling, fairness, openness, inclusion, participation and dialogue while it threatens life by censorship, misinformation, hate-speech, lies and exclusion. The latter session also brought out that Peace is ‘not only the absence of war, violence and hostilities, but also the enjoyment of justice, equality and the entire range of human rights and fundamental freedoms within society’. 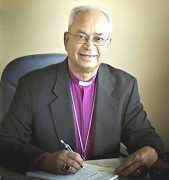 Complete with references to the Earth Charter, WACC Principles and other global models of communication, he dealt with the subject comprehensively, and challenged the Church as a communicator and also as individual communicators, to explore the potential of communication for Life, Enablement and Growth. The next session “Addressing discrimination: specific issues about gender, caste, indigenous people, dispossessed, minorities (religious, sexual, racial, etc. )” was basically about ‘Communicating for emancipation’ and taken by Prof. Lanusenla Longkumer (Professor of Communications, Leonard Theological College, Jabalpur). Her paper delineated some of the struggles of people, particularly women, in their everyday lives and made an appeal to the churches and individual citizens to join hands in the search for the meaning for life. She presented several case studies to show instances of violence and discrimination. She also spoke about the Church’s response and included a video presentation showing examples of simple communication tools for campaigning and advocacy such as street plays, towards addressing these issues. The last input session “The Church’s response, initiatives and challenges”was taken by Rev. 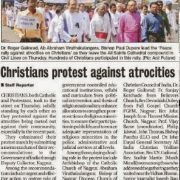 Dr. Joel Patrick (Auxiliary Secretary, Jabalpur Auxiliary of the Bible Society of India). He spoke about the various communication models and tools used by Churches. While he urged exploration of new age communication technologies and models, he cautioned against dilution of core elements like people’s participation, identities, community spirit, indigenous forms of communication, and so on which may be counter-productive to the Church’s objectives. This section was moderated by Dr. Esther Kathiroli (Secretary, Tamil Nadu Christian Council). She commented on communication tools for Just and Inclusive Community, and urged Churches to address specific issues in their respective areas especially those concerning basic rights. She stressed the important role played by communication in addressing these. She challenged Churches to use their communication modules more effectively and if found inadequate, to develop them urgently. The afternoon of the second day was devoted to group discussions in which participants split in three groups had brain-storming sessions in light of the input sessions that had been conducted so far. The groups made lists of communications-related recommendations to Churches and Christian organizations. These lists were then handed over to the Statement committee to be incorporated in the draft that was being prepared. On April 10, 2016, the Statement Committee – Ms. Sushma Ramswami and Rev. Abraham Varghese – presented the Statement draft to the participants which was followed by discussions, changes and finalization. The program closed withclosing comments, vote of thanks and closing prayer by Rev. Dr. Samuel Meshack. Rev. Dr. Mohan Larbeer pronounced the Benediction. As noted from Rev. Dr. Samuel Meshack’s vote of thanks, the program team puts on record its sincere thanks to CSI Synod (Honorable Moderator of CSI, The Most Rev. Dr. G. Dyvasirvadam; Treasurer, Adv. C. Robert Bruce; General Secretary of CSI, Rev. Dr. Ratnakara Sadananda; and Director of departments of Communication, Dalits and Adivasis Concerns, Rev. Sunil Raj Philip) and BTESSC (Secretary, Rev. Dr. Mohan Larbeer) for their kind and generous support as partners with NCCI’s Commission on Communications and Relations for this Pre-assembly. Special thanks to all the resource persons for their valuable input through the presentations, insights, discussions and guidance. We are very grateful to Rev. Dr. Samuel Meshack and Rev. Dr. Roger Gaikwad for strengthening the work of the commission through their continuous guidance and support. The NCCI Communications Pre-assembly program brought together Church and Christian Organization leaders from across NCCI’s member bodies, most of them communication heads of their respective organizations. The resource persons were all communication experts equipped with the skill, knowledge and vision to contribute through their presentations, valuable ideas and directions for the communication concerns in India. The program was successful in covering the vast array of communication-related issues and concerns that the Churches and Christian Organizations in India must address especially in achieving the objectives of Just and Inclusive Communities. The program clearly established the role of communications as undeniably crucial, especially in the current context characterized by revolutionary and rapid changes in all aspects of life.Communication functions and tools must be developed by Churches and Christian organizations, and can be effectively used for solutions towards Life, Enablement and Growth. http://ncci1914.com/wp-content/uploads/2016/08/IMG_3787.jpg 266 400 Neelam Gaikwad http://ncci1914.com/wp-content/uploads/2018/05/NCCILOGO105-300x72.png Neelam Gaikwad2016-04-13 15:26:212016-08-22 12:53:35NCCI Communications Pre-assembly (April 8 - 10, 2016 | CSI Synod, Chennai) - Program Report.